This week Flow Traders (EPA:FLOW) did go ex-dividend. The interim dividend is up from €0,30 to €1,35 this year. This is increasing my estimated yearly dividend income with €52,50. Flow Traders (EPA:FLOW) is a market maker mainly active in ETF’s. As a result of the high volatility in the market in Q1 the net profit increased a lot and due to the increased profit the dividend was increased. The Q1 net profit was up 705%. The volatility decreased a lot in Q2 and this results in less trading income. The half year net profit is up 386% from previous year. I don’t consider Flow Traders a dividend growth stock, because it’s results are very dependent on the volatility in the market. Yield on cost is 5,24%, but with current volatility I don’t expect this to increase. A decrease in dividend for next year is more likely. I bought this stock initially with the assumption to benefit from high volatility in Q2 also, but with the current relatively calm markets I have to reconsider if it’s worth holding Flow Traders (EPA:FLOW), but at the same time it’s hard to decide if it’s a easy sell, because I of course can’t predict when volatility is comming back. 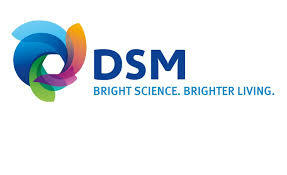 Last week I received an interim dividend of Dutch specialty chemicals company DSM (EPA:DSM). The interim dividend is up 32,7% from €0,58 to €0,77. Also DSM communicated to the plan to payout €2,30 over 2018 including the interim dividend. This is up 24,3% compared to the 2017 dividend. I own 13 shares of DSM (EPA:DSM). So the interim dividend increase results in €2,47 in extra dividends. Increase of the final dividend will result in €3,38 extra dividend. Expected Yield on cost will increase from 2,84% to 3,53%. This month I received €98,24 in dividends compared to €63,65 last year. This is an increase of 54,3%! versus the July 2017 dividend received. 6 Companies paid me dividend this month. 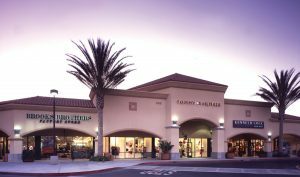 The grow of dividend income is mainly due to an increased position in Wereldhave and Coresite Realty. Also Coca Cola is a new position adding to the growth of my dividend income. This month I did buy 23 shares Danone. I added Danone to my portfolio, because I wanted to add some defensive consumer goods companies to my portfolio from the eurozone. Also a few days later a doubled my position in Facebook from 8 to 16 shares. The Facebook share purchase is an opportunistic purchase for me. The share price dropped 20% after the publication of the 2nd quarter results. The 2nd quarter numbers weren’t bad, but Facebook mentioned lower gross margin expectations for the near future. I still believe in the strong cashflow generating abilities of Facebook so I added a few more shares. I ended the month with a portfolio value of €58.797. 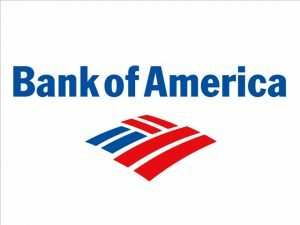 Bank of America announced a 25% dividend increase. The quarterly dividend is increased from $0,12 to $0,15. This means the yearly dividend per share is up from $0,48 to $0,60. I own 43 shares of Bank of America. So this dividend increase will increase my yearly expected dividend income with $5,16. Yield on cost will increase from 1,84% to 2,30%. Last year Bank of America already increased their dividend with 60% so the yield on cost is improving a lot for Bank of America. Today I doubled my position in Facebook from 8 to 16 shares, by purchasing 8 Facebook shares at $176,40. The shares of Facebook are today almost 20% down as reaction on the 2nd quarter figures. I decided to increase my position in Facebook, because I still believe in the cashflow generating posabilities of Facebook. At the end of Q2 Facebook has 15,5 billion in cash and 30,7 billion in marketable securities. The net cash provided by operating activities over the first 6 months of 2018 is 14,2 billion. Despite slower than expected growth, expected by Facebook, I still believe in the cash generating capacities of Facebook. I started my inital position in Facebook with the idea that the cashflow generating ability is strong and it could potentially be a good dividend stock if ever Facebook decides to use the cashflow to payout a dividend. I decided to be speculative and buy 8 more shares of Facebook. Just as dividend stocks I see this as an investment I will keep for many years. 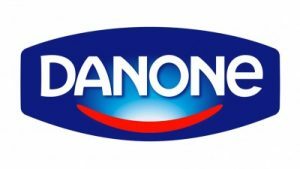 Today I bought 23 shares Danone at a price of €65,65 per share. Danone is a French food processing company. The main brands Danone is owning are Active, Actimel, Evian, Aqua, Volvic, Danone and Nutricia. To bring more balance in my portfolio I was looking for a company active in the food market and I did choose Danone. Danone has a yearly dividend of €1,90 which brings the yield on cost on 2,89%. The dividend is paid once a year around the end of May. This purchase doesn’t increase my dividend outlook for this year, but it will add €43,70 to the dividends I expect to receive next year. This month I received €222,43 in dividends compared to €53,59 last year. This is an increase of 315%! Mainly new positions increased my dividend income this month. With Royal Dutch Shell, Enbridge, Think AEX ETF and Dominion Energy responsible for over 60% of my dividend. This month I did use my monthly deposit to buy 12 shares AbbVie and 5 shares McDonalds. With the purchase of 12 shares AbbVie, AbbVie is now the largest position in my portfolio. So I did not open any new positions, but only increased current positions I have. I ended the month with a portfolio value of €57.065. My June purchase I did spread over 2 positions in my portfolio. I bought 5 shares McDonalds bringing my total number of McDonalds shares to 11. Also I increased my position in AbbVie again. I added 12 shares and now own a total of 35 shares AbbVie. AbbVie is now one of my largest positions in my stock portfolio.